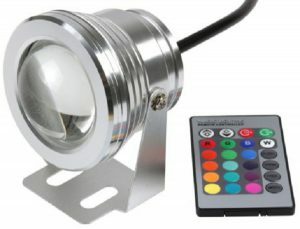 I bought 10 RGB spot lights on eBay for approx AUD $113 including express delivery. You can select from a few static colours and a couple of flash / fade modes. The light does remember the last chosen colour / mode which is nice. Overall they seem ok construction wise with seals around the front and cable entry. 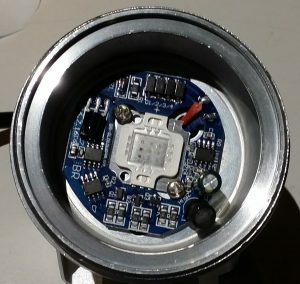 Although it’s sold as a 10W fitting, the current draw never went over 400mA @ 12V DC. That works out to only 4.8W. I still think these lights are good value for money. 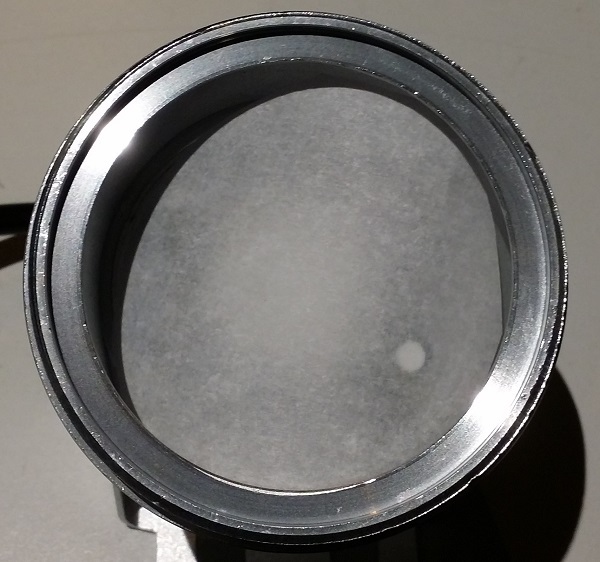 I’ve unscrewed the retaining ring for the convex lens. You can see the RGB LED in the centre. The IR remote sensor is off to the left. The DC input has a diode bridge so is not polarity sensitive. The eBay listing says you can run them from 12V AC as well. Unfortunately the colour mixing out of the box is woeful. Here it is shining onto the ceiling in my man cave (garage). It really does look that bad in person! But… there is a almost zero cost solution. Cut a 60mm circle of baking paper and drop it over the PCB. My wife used her die cut machine to punch them out for me. 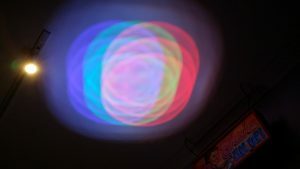 This saved a lot of time as I ended up buying 10 more lights! 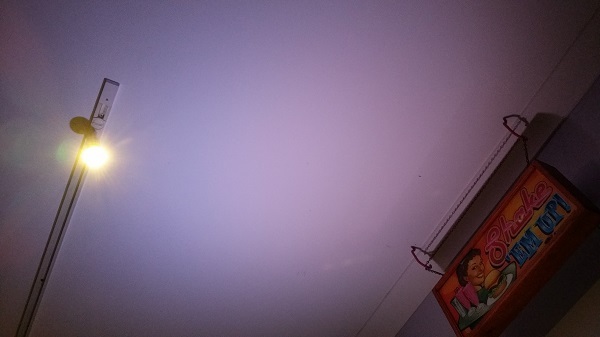 The light output is now diffused with minimal light level reduction. 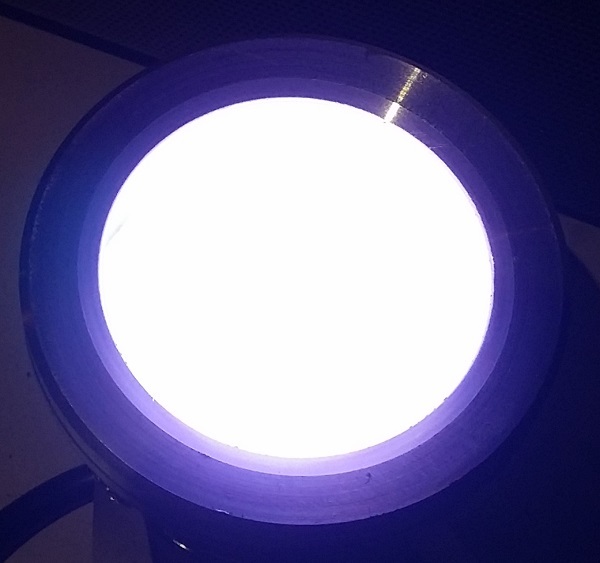 Putting the diffusion between the LED and the lens helps keep the spot pattern. Well… what a difference that makes! It’s not perfect, but it’s a massive improvement over the original output. I used them for Halloween 2016 and they worked flawlessly.